For the past few years, I have been writing about how the global economy is poised for a very long period of slower growth. Early this year on MarketWatch, I dubbed what was going on as “slow growth forever.” While I know that people want to believe that the global and U.S. economies can grow faster, the reality is that slower growth is structural in nature. The “dark” philosopher Heraclitus of Ephesus said that, “the only thing that is constant is change.” In today’s world, change is so constant, and seemingly accelerating, that many people are befuddled because they feel the world is passing them by. This feeling of being passed by, which drives frustration and anger, is nothing new though. Thousands of years ago, people had the same feelings. If change has always caused frustration and anger, has anything really changed? 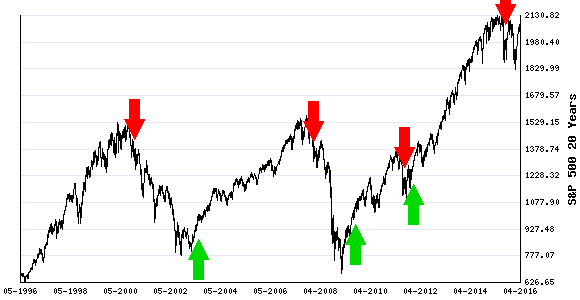 The saying “sell in May and go away” might have a more true meaning this year than most. Global risks to the economy and markets are rising at a rate I have not seen since 2006-07. Happy New Year! For me I am glad to see 2015 go. I had a heart injury, a house fire and have been early on several stock picks. Such is life. I survived, nobody got hurt in the fire, I’m back in my house and early doesn’t usually mean wrong if you are patient. This is very important reading in my opinion, so please get a beverage and hunker down for a half hour. At least one topic I’m going to cover could spawn a book, but I will keep it as short as possible. By 2012, banks and investors started flooding the oil and gas market with money for drilling projects. In my annual freedom letter of 2012, I said that America’s oil and gas development was so great that it would ultimately lead to our freedom from OPEC. I repeated that sentiment on MarketWatch but few people in the broader population believed me. 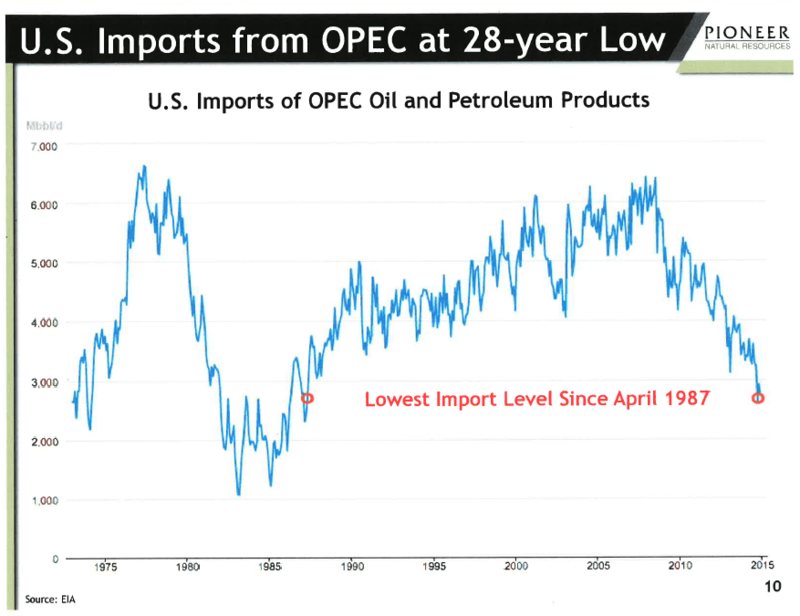 Today, American imports of oil and gas from OPEC are at the lowest levels in 28 years and down over 50% from the 2008 imports. Last summer in an article titled the Peak Oil Plateau I laid out the case for dramatically lower oil prices and why to sell most oil and gas stocks. As it turns out, I understated the case and prices crashed even further than I anticipated as traders were able to pound shares to prices below what is justified due to pessimistic investor psychology lasting well beyond the financial crisis. After about a year now of carnage among oil and gas companies struggling with debt and low energy prices, I believe we are in store for another dramatic shift.